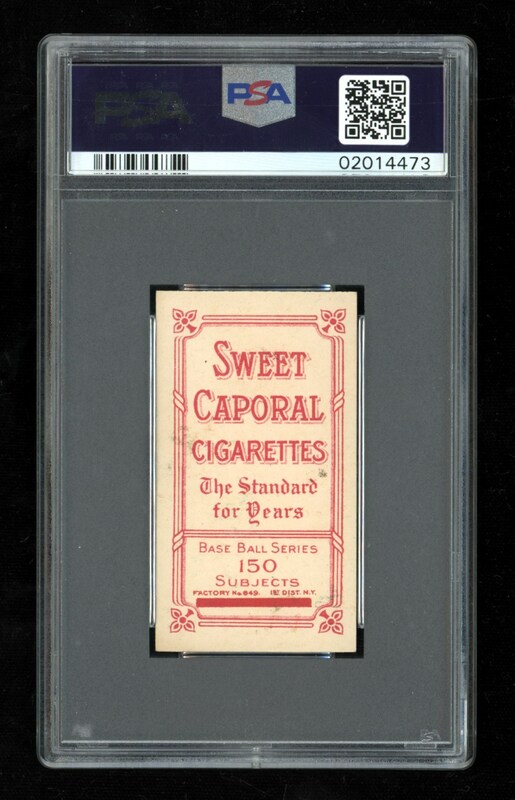 Lot # 14: 1909 T206 Admiral Schlei “Catching” Sweet Caporal 150 Subjects (PSA NM/MT 8) - Only 2 Graded Higher! 1909 T206 Admiral Schlei "Catching" Sweet Caporal 150 Subjects (PSA NM/MT 8) - Only 2 Graded Higher! 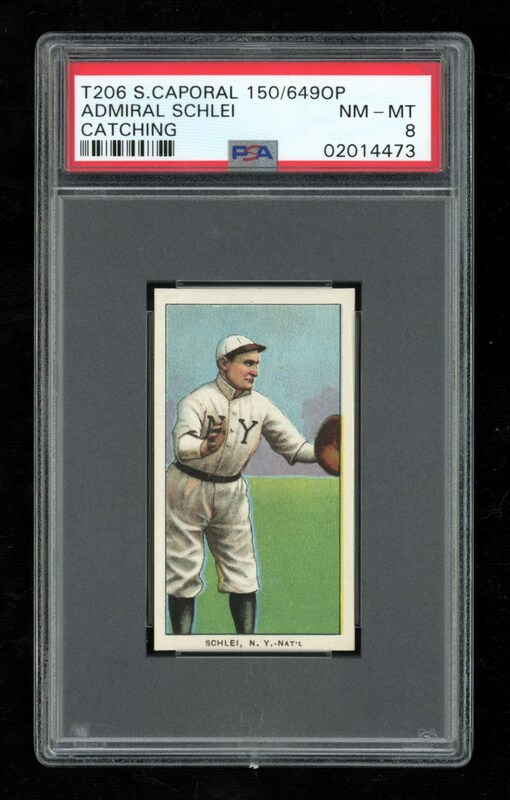 One of the premier Admiral Schlei "Catching" T206 subjects is presented here in a stunning PSA NM/MT 8 holder; one of only nine at this lofty plateau with a meager two examples graded higher! Indeed, this Sweet Caporal 150 Subjects offering appears to have defied "father time" via its spine-tingling aesthetics. Admiral Schlei was a fine defensive catcher who was traded to the Giants in a three-way deal that sent Hall of Fame catcher Roger Bresnahan to St. Louis. His brilliant representation on this T206 "rare for the grade" marvel includes a classic catching pose set against an immaculate-like green/blue tranquil hued setting. The well-centered image only reveals a faint favoritism towards the left edge between four absolutely blinding white borders, the corners are ultra-sharp and both surfaces are nearly flawless. A timeless cardboard wonder to say the least, its sheer existence in NM/MT condition some 109 years after its original issue date borders on the miraculous!